Klaussner furniture is a multi-faceted brand specializing in several different product types. They are renowned for their outdoor furniture and occasional table collections. Klaussner Home is one of the best furniture brands on the market—which is evident by their robust product lineup. Klaussner Furniture offers a wide range of mid-range designs that feature unique and exciting designs. Klaussner sectionals and sofas are very popular parts of their catalog, as are their high quality outdoor furniture lines. Klaussner Furniture is a part of the Klaussner Home brand, which has several different operations to offer truly unique products for buyers with a wide-range of needs. Klaussner Furniture has been in business since the 1960’s and, while they have established many international partnerships throughout the years—around 70% of their furniture is still made in their North Carolina factories. Klaussner is one of the best furniture brands on the market today and learning a bit more about them as a company only lends to one’s appreciation for them. Klaussner Has made a name for themselves over the past several decades by making quality products with great style. They specialize in a quite a range of products compared to many furniture brands, ranging from sofas, couches, and sectionals to cocktail tables, bedroom sets, and outdoor furniture. One of the most notable facets of Klaussner products can be seen in their extensive line of outdoor furniture. Another great example is their Urban Sleigh Bedroom Set which features a unique take on a fairly traditional look. Klaussner understands that buyers want furniture to not only be durable and weather resistant, but to also enhance the aesthetics of your homes outdoor lifestyle. Another area where Klaussner excels is with their living room sets and upholstered furniture collections. Klaussner designs pretty neutral sofas and sectionals, which work to compliment a wide variety of rooms and design styles. The Darcy Living Room Set by Klaussner is a great example of how well their designs can work in harmony with other furniture and spaces. This living room set features a sofa, loveseat, chair, and ottoman all in a soft beige linen complimented by oversized seating and backrests. These set of furniture can add a sense of light cohesion to a your living room, and matches well with nearly any existing furniture you might have. In addition to their unique line of well-conceived outdoor furniture and ultra-harmonious upholstery lines, Klaussner has a great selection of case goods such as bedroom sets, occasional tables, dining room sets, and even entertainment consoles. Klaussner Furniture has their finger on the pulse of traditional American furniture designs, and their North Carolina manufacturing facilities illustrates their commitment to the roots of truly-great furniture. North Carolina is regarded as the birthplace of great Southern American furniture style, characterized by luxurious solid woods and artisan-crafted shape. Klaussner Furniture designs with these types of influences close to heart, but understands the demand of modern trends and customers. A great example of this type of design can be seen in the Klaussner Palencia Collection which features ornate carvings, turned-post legs, and storyful metal accents. The low-chroma tonal Oak finish Klaussner chose for this set allows for a higher-level of modern and contemporary relevancy that most traditional collections come close to achieving. Another great example of Klaussner Furniture’s unique perspective on design can be seen in their Urban Craftsman Collection. This collection is characteristic of traditional American styles where craftsman let the wood do most of the talking, rather than fancy carvings. The Urban Craftsman collection by Klaussner features straight lines and low-profiles on it’s pieces that all coalesce to present as a very classic transitional style overall. Few furniture brands offer such design styles while still adhering to such elegant usage of woods and materials. The Serenade Collection by Klaussner Furniture further demonstrates the versatility of this brand, and offers a very fluid form of traditionally-inspired contemporary mastery. To further the magnitude of this collection, Klaussner offers it in an optional ‘glam’ look which features a champagne-colored almost foil look. Klaussner’s catalog is a well-rounded selection of some of the finest furniture available on the market, and their attention to detail has allowed them to hold a considerable amount of customer loyalty over the years. Klaussner furniture is available for purchase in many local furniture stores, and you can easily find a store near you by searching their local dealer database. Considering Klaussner has several different branches within the Klaussner Home company, you are most-likely to find a large survey of their furniture in larger retail outlets. In addition to local furniture stores, Klaussner furniture can be purchased online through several different retailers. Wayfair has a decent selection of Klaussner products, but seems to only offer living room sets—coming up a little light on bedroom, dining, and outdoor furniture. Amazon also has a pretty decent selection of Klaussner but seems to have a more upholstery-focused selection. 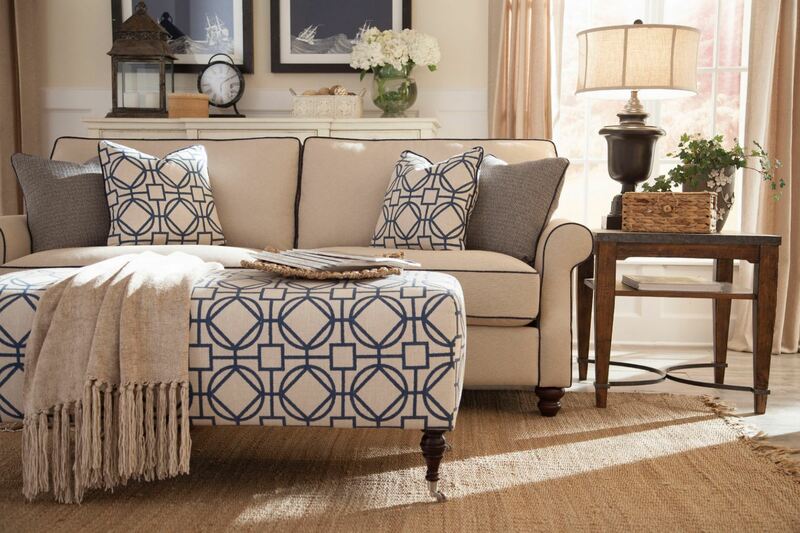 Buying furniture can be a daunting task—especially with all the brands and options available on the market today. Klaussner Furniture is among the best furniture brands available, and their unique product catalog can offer quality designed products suitable for a great many situations and spaces. 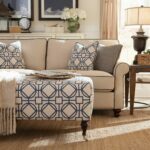 You can save a considerable amount of money by shopping online from trusted retailers, and will have access to many more options such as finish colors, upholstery textures, and even exciting and unique pieces that aren’t available in most local stores. The Internet is quickly helping to replace the middleman all across the furniture industry, and it’s never been a better time than now to take advantage of the low prices and easy financing options to help dramatically improve you home decor or next design project! Klaussner Furniture offers a wide variety of specialized furniture designs such as rich outdoor sets, unique bedroom sets that mix traditional and contemporary styling, and a great line of unassuming sofas and sectionals. Klaussner is among the best furniture brands in the market today and continues to delivery on quality and style.